A 1940s historical and sentimental account of a young English girl and her family living and working during WWII. 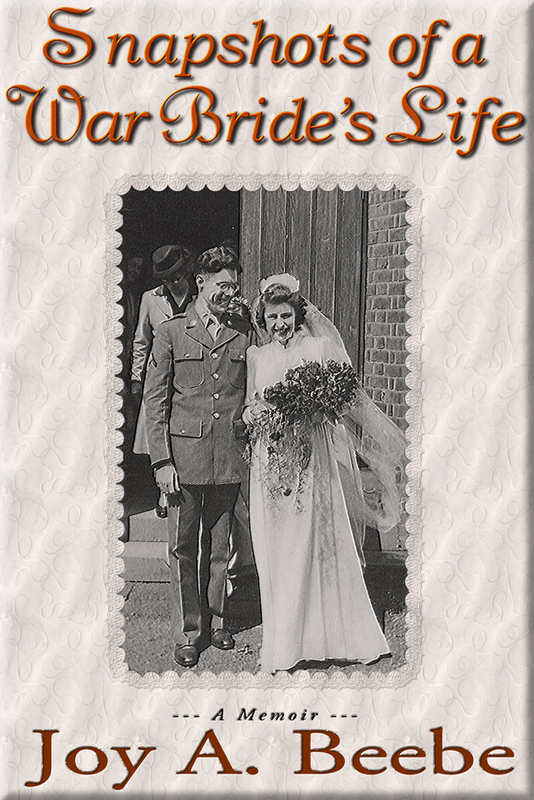 Scary bomb sounds, sleeping under a table and watching London burn from afar, Joy meets and marries American soldier Carl and leaves Britain with a two-year old son at the age of 22 and has very little connection with her homeland for decades. After their troop ship postwar journey from Southampton, England to New York and train trip across the US, the couple arrive in Salem with $10 to begin their life in America.